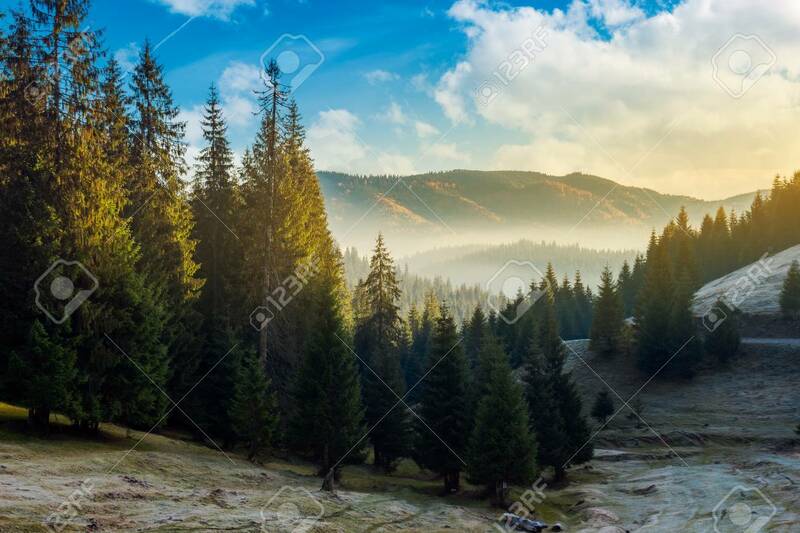 Wonderful Autumn Morning With Gorgeous Sky Above The Spruce Forest.. Stock Photo, Picture And Royalty Free Image. Image 109273793. Stock Photo - wonderful autumn morning with gorgeous sky above the spruce forest and fog in distant valley. amazing landscape in mountains.